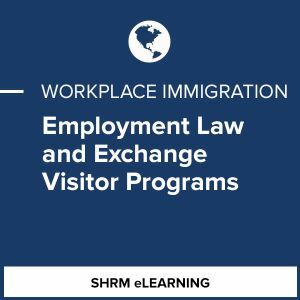 This course introduces the important intersections between the J-1 Exchange Visitor Program and U.S. employment law. There are numerous work-related issues sponsoring organizations must take into account to ensure visitors are protected and comply with state and federal regulations — all with the ultimate aim of providing exchange visitors a safe and beneficial stay in the United States. This course will focus on the following categories of the Exchange Visitor Program: Alien Physician, College/University Student, Intern, Research Scholar/Professor, Short-Term Scholar, Specialist, Summer Work Travel, and Trainee.